It is Friday and the greyhounds and I are buried under three inches of snow. Hey! No laughing, Northerners. Three inches of snow is a lot for Georgia! It looks like we will have to play inside today. How about Clicker Training? Clicker Training is a fun way to pass the time and burn some energy indoors when the hounds are suffering from cabin fever. It is also great for basic training, manners, competitive obedience, agility skills, show ring behaviors, tricks, overcoming fears, games, and more. I will start with giving you some background on clicker training, review the basics, and then end with an exercise for you and your greyhound to practice. Some greyhound lovers have been turned off of obedience training due to the compulsive nature of many techniques. I urge you to read on if this has been your experience. 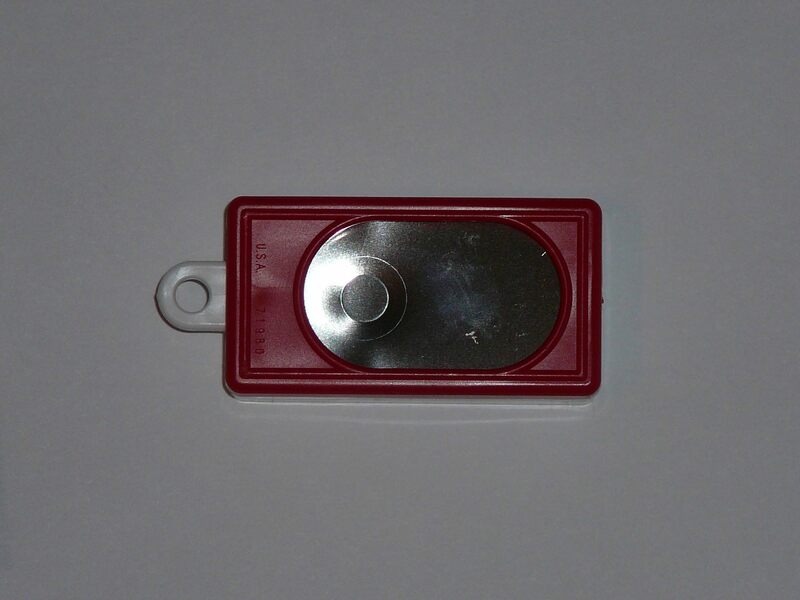 Using a clicker makes obedience fun and takes the force out of training. The dog becomes an active participant and enjoys figuring out what makes the trainer “click”. 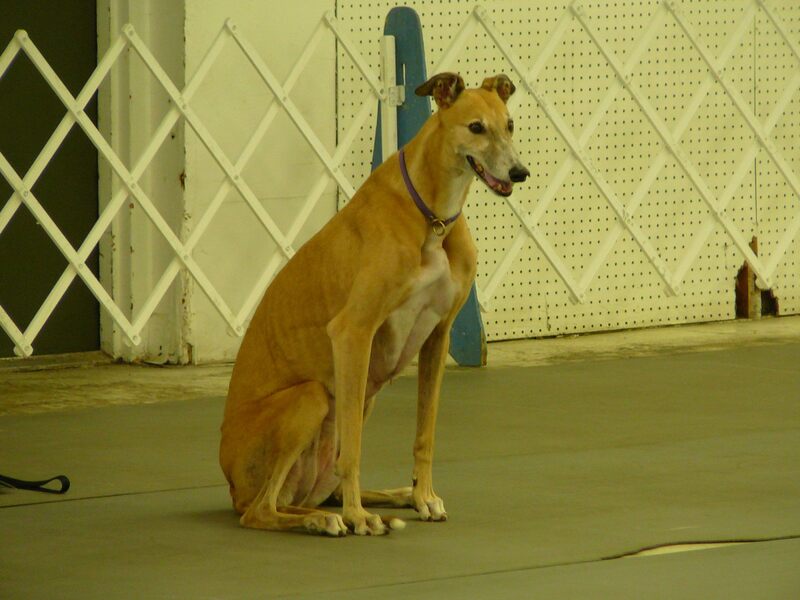 I stumbled upon clicker training when it became evident that my greyhound, Jessie, was not enjoying obedience at all. The class we attended used lots of collar corrections. Fortunately, Jessie’s distaste for training led me to seek other options. I purchased Karen Pryor’s “Clicker Training Starter Kit” and Jessie transformed immediately. She started to love training and I was able to teach her to things I never dreamed would be possible (i.e. happily retrieve a dumbbell). Clicker training, also known as operant conditioning, is especially useful to marine animal trainers simply because a human cannot jump in the water and make a dolphin do anything. Instead, the trainer teaches the dolphin that when a whistle is sounded, the dolphin receives a fish. The dolphin then goes about his business and when he does something the trainer likes (i.e. jumps out of the water), the trainer marks the dolphin’s behavior with a whistle and rewards with a fish. The dolphin then starts to work towards repeating the behavior. The trainer will eventually add cues or commands and will also start to develop criteria. The trainer may have rewarded all jumps initially, but eventually raises the criteria and only reinforces jumps that are of a certain height or done a certain way. The same concept applies to other animals including dogs. Using the same concept as the dolphin trainer, we can mark desired behaviors offered by the dog with a Click and Treat (C&T). Some clicker training purists will tell you not to lure or help the dog, but to remain neutral and to C&T every tiny step the dog makes in the right direction. 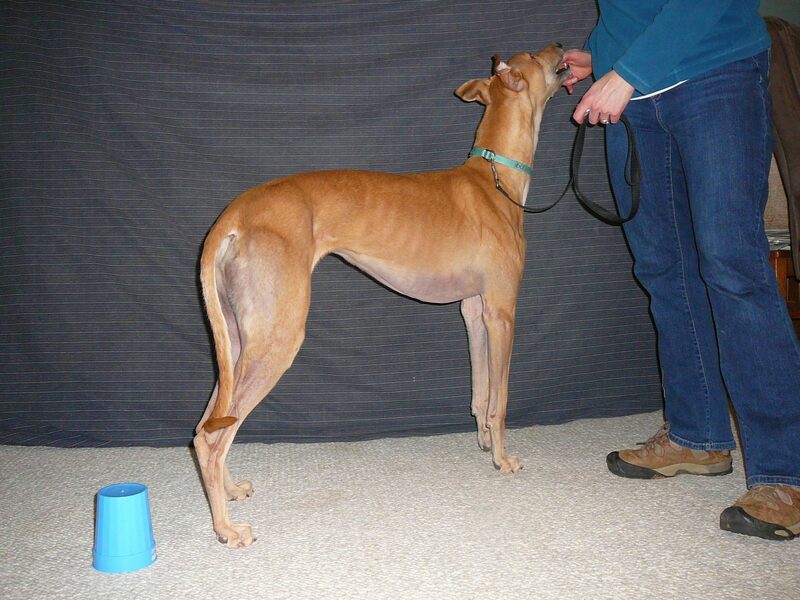 This is called free shaping and it is sometimes fun to do with a clicker-trained greyhound. However, if you are training something specific, your greyhound will appreciate a strategically placed treat that lures him into the correct position. Next, let us review a couple of rules to clicker training that will be important to the exercise I will be giving you. The “click” is our way of telling the greyhound “That’s it” and you are receiving a reward for it. Click during the desired behavior. If you are truly excited about a particular response, click only once, but give your greyhound five treats to express that the last action was an extra good one. Now you are going to teach your greyhound to touch a cup with his nose. This game will explain the concept of clicker training to your greyhound and will teach him the meaning of the “click”. 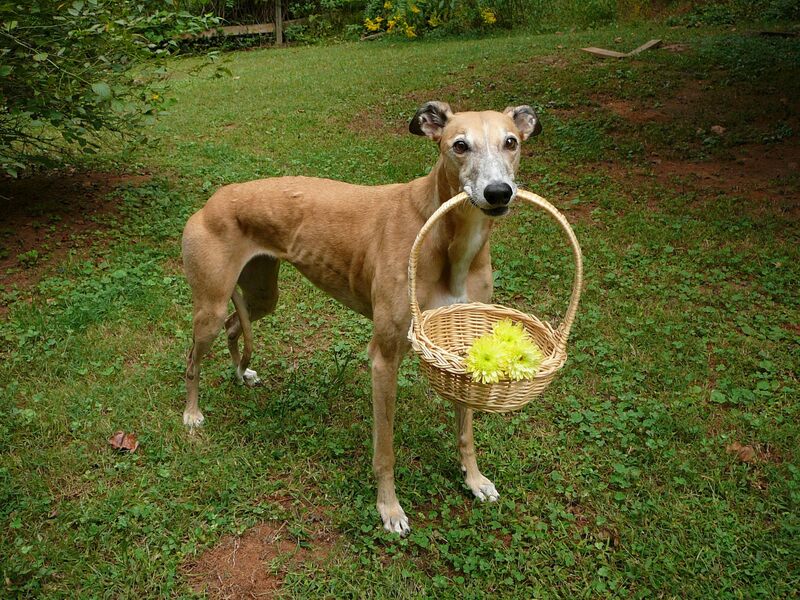 Since my greyhound does not know what the “click” means initially, I start him on leash (even if indoors). I hold several treats in my dominant hand and the clicker and leash in the other. The reason for the leash is that I want every touch of the cup to be rewarded with a C&T. The leash allows me to restrict my greyhound’s access to cup if I am not prepared. 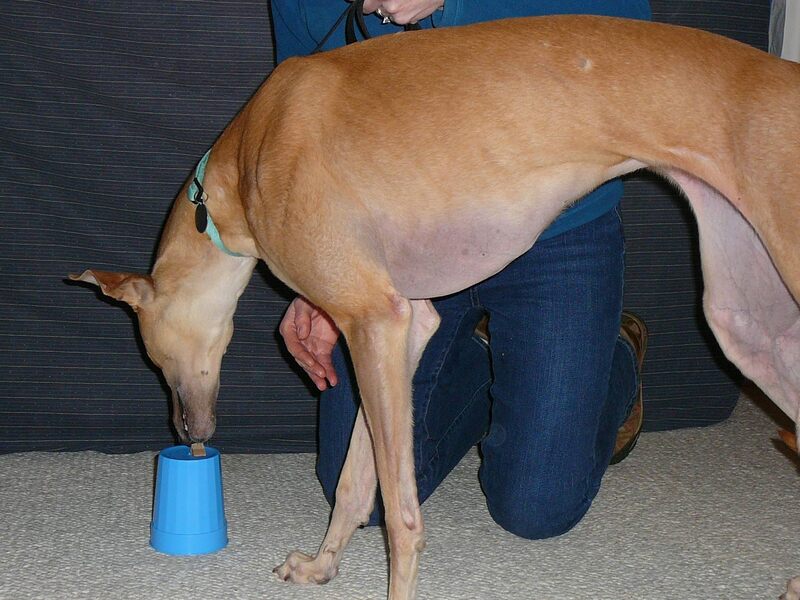 Place a treat on top of the cup and make sure your greyhound sees you doing this. I recommend using small, easy to swallow treats that do not require any chewing. As my greyhound reaches for the treat, the top of his nose will touch the cup. Click as your greyhound removes the treat. Repeat this a few times. If you run out of treats or become unprepared to C&T, pull your greyhound away from the cup so he does not accidentally touch it. After you have completed a few repetitions, do not place a treat on the cup. Instead, wait to see if your greyhound will check the cup and reward immediately with a C&T when he does. Remember that he will still not know that the “click” means he is getting a treat so he will not look to you for a reward yet. Just offer the treat down to where he is as quickly as you can. Try not to rush and resist the urge to point to the cup each time. Give your greyhound a chance to think about what he is doing. Let the wheels in his head turn. If he does appear to be stuck, go back a step to remind him of the task. At some point, he will understand that the cup is significant. It is usually another training session or two before your greyhound starts to understand that the “click” has meaning. It will be clear that the concept of clicker training is understood when you are able to stand behind your greyhound as he touches the cup and then whips around for a treat as soon as you click. At this point, you do not need the leash for this exercise. You can now add variations to this training exercise and experiment with free shaping (referenced above). 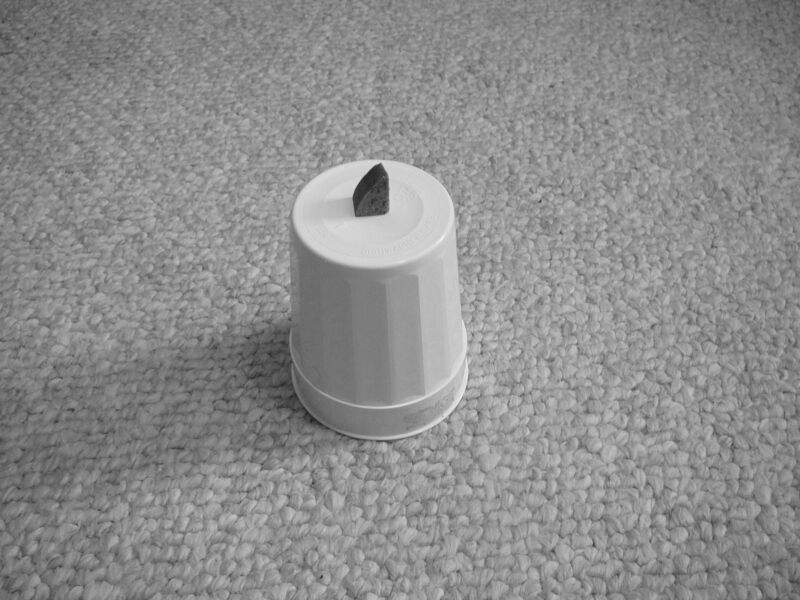 You can increase the distance between you and the cup and have your greyhound trotting across a room or down a hallway to touch the target for a “click” and returning to you for a treat. You could raise your criteria further and C&T only for forceful nose touches that move the cup. Eventually, your greyhound may knock the cup over and you can raise your criteria again by reinforcing only for overturned cups. Leave the cup knocked over and see what your greyhound thinks to do next. He might try picking it up with his teeth or pawing it with a foot. The best part is that your greyhound is having fun and never feels forced. Training becomes his idea. Later on, you can use the clicker to train all sort of other things. I have trained greyhounds through the three levels of competitive obedience. All of my greyhounds are happy retrievers and a few will pick up any item I point to like a well trained service dog. It is fun to create photo opportunities with something held in their mouths. I have also worked through behavioral problems and fears. All of this was accomplished with clicker training. I hope you will give it a try.